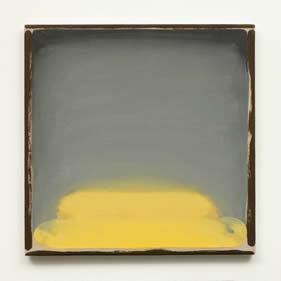 William McKeown’s paintings and drawings are extraordinarily simple, but they are not stark. They refresh our vision and gently remove the scales from our eyes. Thank to the artist’s estate and Inverleith House in Edinburgh’s Royal Botanic Gardens, a little of McKeown’s achievement is on show in the gallery that overlooks the gardens. There are 19 paintings and two drawings, found in his studio after he died last October. Through these deeply reflective canvases, shown in one of the UK’s most beautiful gallery spaces, the artist's personality emerges in a powerful and poignant way. McKeown would get up each morning and absorb the sunrise, whether outdoors in his native County Tyrone or in Edinburgh, where he worked in a large studio in the city’s east side. He loved taking friends, and his dog Buster, on walks along the Water of Leith, which snakes through the city, providing a lush green haven for wildlife and humans. His approach to human beings in nature was rooted in his childhood growing up on a farm in County Tyrone. He held on to this time of innocence. As poet Enrique Juncosa has explained*, McKeown avoided addressing the political conflicts that dominated much art coming out of Northern Ireland. By eschewing any kind of demagogy, he quietly insisted that there could be something other than the Troubles. Underneath it all, we are beings who arise from and exist within a natural world and cannot flourish without that connection. Evoking the innocence and magic of being so close to the land and experiencing the rising of the sun, he creates a vision free of the bloody conflicts and sectarian violence for which Ireland, and the north in particular, became known over the 20th century. McKeown’s sunrises, in which the paint breathes within the warp and weft of the linen, and through which light floats, are a metaphor for liberation and freedom. He depicted not only dawn, but tiny wild flowers and birds like the corncrake which can be seen now in only a few places, and is threatened with extinction. He sought to renew the elemental bond with the natural world, a bond that we experience within ourselves. McKeown’s work has a deep connection with Ireland’s philosophical and literary past. It forms a link, for example, to Celtic scholar monks like Johannes Scotus Eriugena who in the 9th century boldly speculated about the shared nature of everything in the universe – and was condemned for it by the papal authorities. “All that is, is light" he famously said. Over the last decade McKeown made installations in which his seemingly minimalist work evoked contemporary experiences of alienation. In 2010 he shared an installation called Traces of Light at the Middlesbrough Museum of Modern Art (MIMA) with Cuban-American Felix Gonzales-Torres, also a gay artist. He had the fortitude and daring to probe ever more deeply into his subject – light and its relation to us – and to reveal it as the very pre-condition of our existence in the world. Equally he raises the possibility of healing the rift between humans and the natural world. 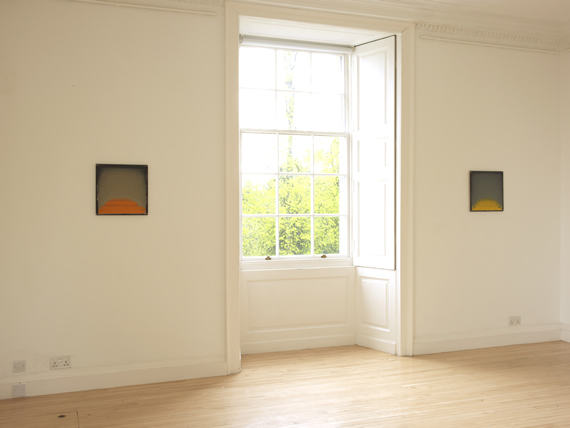 Curators Paul Nesbitt and Caroline Hancock have arranged the progression in Inverleith’s upstairs galleries sensitively. A calm spirit radiates from these canvases and even in Edinburgh’s cool grey light, brings to life McKeown's power to penetrate the very essence of things. 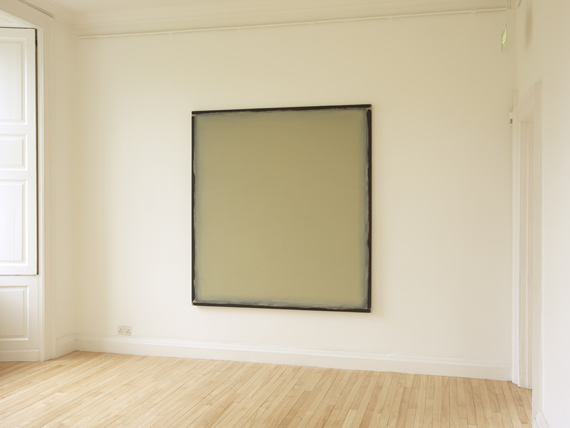 William McKeown (1962-2011) is at Inverleith House, Royal Botanic Gardens Edinburgh until 8 July. It runs alongside Remarkable Trees – the photographs of George Paxton and a film by Agnes Martin. Free admission.